This year I had the privilege of attending Professional Beauty London, an amazing exhibition featuring thousands of leading brands currently in the market. Whilst I was visiting, I had the honour of meeting and having my makeup applied by Zaf Ansari the founder of Supercover Cosmetics. With 2 years of field and market research designing over 9 undertones with 42 colours of Ultimate Mineral based Foundations for every cultural skintone imaginable, Supercover is now a cosmetics brand used by professionals all over the world and even applied on celebrities in Bollywood films. The brand focuses heavily on catering for Asian skin tones. After having had my makeup applied at the event I have to be honest, I was very impressed. The coverage was brilliant and my dark circles had miraculously disappeared! Ansari insisted that there was no such thing as a concealer when I asked him what he used for my dark circles. He instead showed me how to apply the corrector (post coming very soon) and said lots of beauty schools had already been adapting this method. Back to the reviews! The two products that I will be reviewing today are the Supercover Ultimate Foundation in shade number 7 and the Blue Neutralising Corrector (shade 25). The foundation comes in a compact pot that’s easy to carry around. The packaging is pretty sturdy and made of strong plastic. This is particularly important to me because I do carry my foundation around with me, so with this, I know there definitely won’t be any spillages in my handbag. The product itself is a rich creamy texture that’s very easy to work with. Since I live in the UK and the temperatures are quite low here, the the foundation has a nice consistency and is picked up by my brush really well. On warmer days,the the creamy consistency does soften but doesn’t become runny. 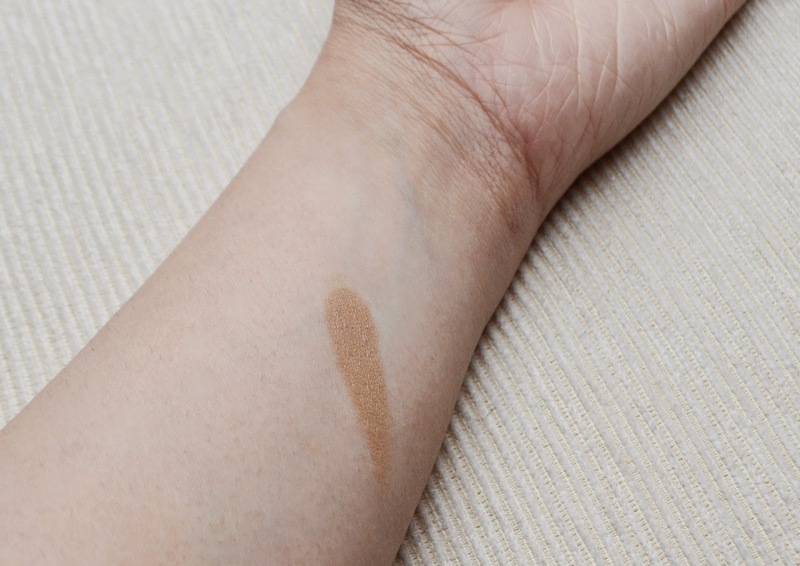 My swatch below is of just one swipe using my finger and you can already see that the coverage is very good. I only realised just how much darker the foundation was in comparison to my actual skin colour when I got home, however my face is a lot darker than my arms so it didn’t look too awful. If you’re NC35 or NW25 this would most likely be your ideal colour. The colours on the website are very difficult to match to and unless you know your colour it’s going to be very difficult to guess as they’ve used web colours rather than pictures of the actual product. It’s also slightly frustrating that the numbering system isn’t sequential. Nonetheless, as I said, I did’t mind my foundation being slightly darker than my actual colour so after about 3 weeks of regular use, I have to say that I still like it! As far as staying power goes, I have noticed that the foundation does stay on for most of the day. However it does come off easily as well. So if I’m lounging around or touching my face a lot, which I tend to do, the foundation does rub off. On a day where I don’t touch my face it will stay on for a good 5-6 hours. The finish is a dewy finish so you can look fresh faced all day. The Blue neutralising corrector (shade number 7) is made specificially for targetting dark circles, correcting problems with pigmentation or blue veins. This comes in a smaller pot than the foundation (0.25oz) but trust me a little goes a long way. With the corrector, you’ve got to be careful to apply it to only the areas which require concealing and not anything more. This “concealer” is not to be used on redness in the skin as it will not counteract it. 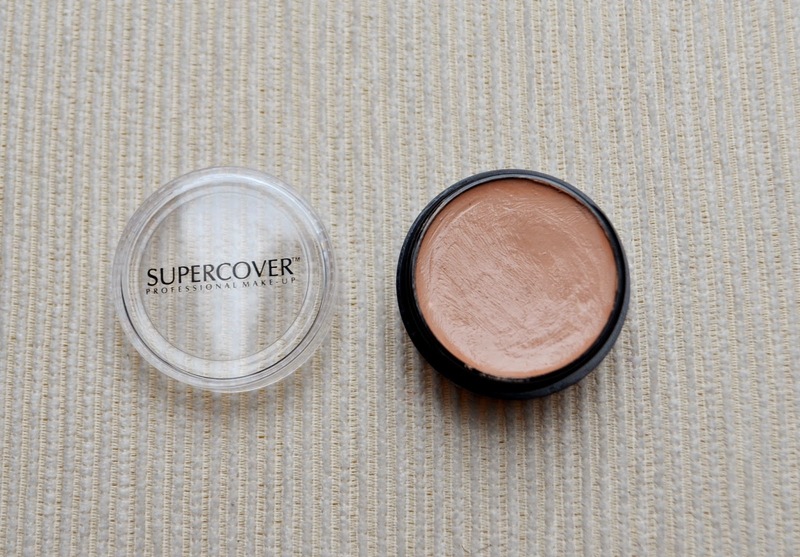 Supercover have a different corrector which is the red neutraliser (shade 16) made specifically for this. 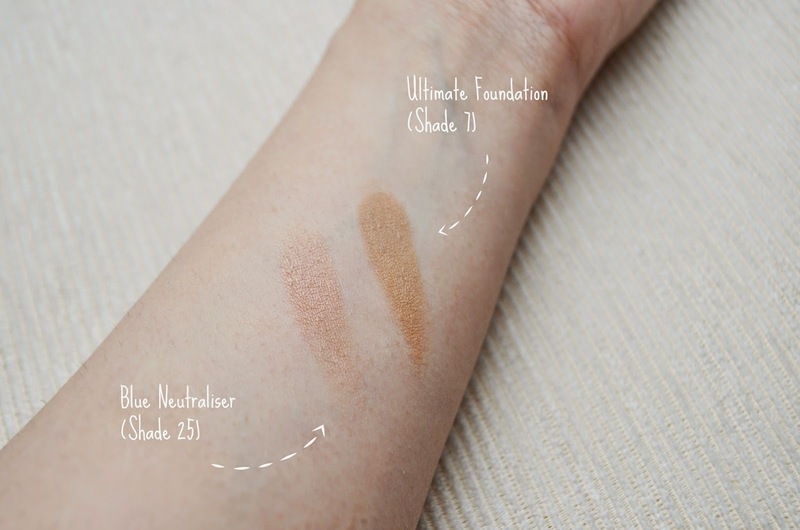 Similar to the foundation, the picture below shows how one small swipe of the product creates such strong coverage. The product also dries very quickly so you don’t have to wait too long before you can go over it with foundation. I did find however that the product does crease which can be annoying however in terms of concealing that under eye baggage, it is now my holy grail! It is absolutely fantastic. I will do a post in the next few days showing just how great a concealer it is with photographic evidence! The consistency, like the foundation, is rich and creamy so it glides on without the need to drag your brush in the delicate eye area. 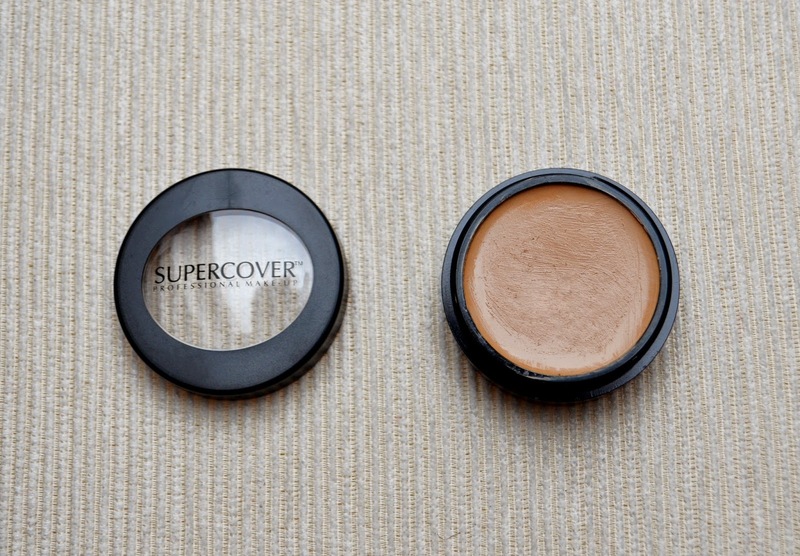 After trying two different products from Supercover, it’s clear that they are a brand that deserves a lot more recognition. It is the only brand that uses mineral makeup that is not in powder form. This means we can leave behind the scary chemicals found in a lot of makeup & keep hold of highly pigmrnted products that provide real full coverage. 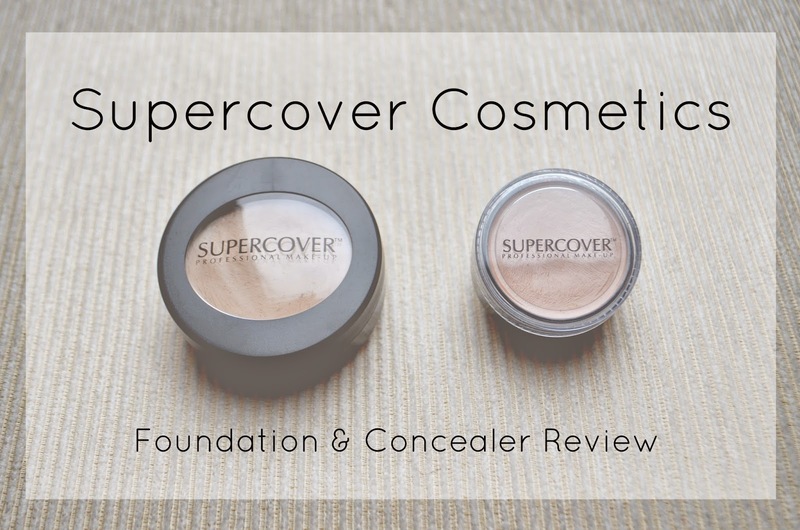 Despite their slightly flawed colour matching system on their website, they’ve redeemed themselves as Supercover allows you to buy samples of their foundation (and other products) for just £3. Sadly there aren’t a lot of stockists about and I couldn’t locate a list of stockists on their website, however you can very easily order online. I would definitely recommend the brand to anyone looking for a new foundation that isn’t so harsh on their skin. Once you give it a go, it will be very difficult to give it up!